Ice experts have long known that Antarctica is losing ice at the margins of its vast ice sheets, where the frozen continent meets the sea — presumably, they thought, from icebergs breaking off and floating away. According to a report published in Science, however, more than half the ice loss is coming from warming ocean waters, which are melting the ice from underneath. “This has profound implications for our understanding of interactions between Antarctica and climate change,” said lead author Eric Rignot, of the University of California, Irvine, in a press release. 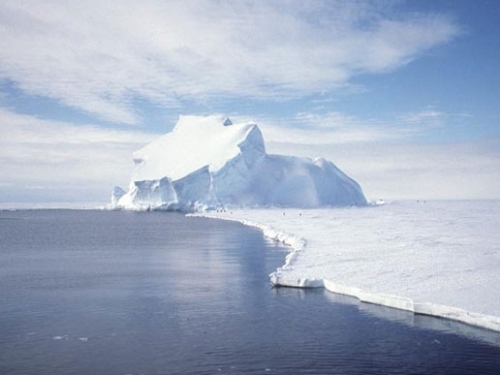 More than half of Antarctic's ice loss is coming from warming ocean waters, which are melting the ice from underneath. Those interactions are crucial because Antarctica holds enough ice to raise sea level by a catastrophic 180 feet if it all melted or slid into the sea. That won’t happen anytime soon. But even without significant Antarctic melting, climate scientists project that the oceans, which have already risen by an average of 8 inches since 1900 as a result of heat-trapping greenhouse gases, could go up by another 2 feet or more by the end of this century. Combined with the storm surges that accompany hurricanes and other major coastal storms, the risks to lives and property will continue to grow. Exactly how fast and how high the sea will rise, however, depends on how the ice sheets on Greenland and Antarctica react to the warming, along with the ice locked in mountain glaciers. That’s something scientists are still puzzling out. In Antarctica, scientists have become increasingly aware that ice shelves — huge sheets of ice that are partly afloat on the sea — can melt from the bottom up. Since they’re already floating, this doesn’t contribute directly to sea level rise. But glaciologists believe that their mass acts as a brake on the seaward flow of land-based glaciers. If the ice shelves vanish, those glaciers could begin dumping their ice into the sea at a faster rate, which would add to sea level. Still, it wasn’t clear how much of a factor this could be overall. The new study, based on measurements of the ice shelves themselves by NASA aircraft combined with improved maps of the bedrock at Antarctica’s margins and models of regional snowfall, shows that about 1.3 trillion metric tons per year of ice sheet shrinkage between 2003 and 2008—or 55 percent of the total—came from underwater melting, compared with about a trillon tons from iceberg calving. That’s significantly more than anyone had thought. The study also shows that the melting is uneven, with 85 percent of the ice loss coming from small ice shelves, while the mammoth Filchner, Ross and Ronne shelves contribute just 15 percent.